Flexible Ribbon integration across all apps - Thanks to the Ribbon feature, you have cross-application functionality close at hand. Its main advantage is the compact design that contains everything necessary for lightning-fast access to fonts, styles and alignment, among many other tools. The Ribbon in Microsoft Office 2010 Home and Student edition also changes automatically based on what you’re doing within the document and provides you with the option to add and remove features according to your preference. What’s more, contextual tabs now exist to better help you with specific actions, such as the appearance of picture formatting tools after you select images. 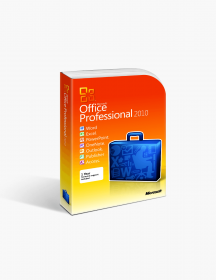 Document management redesigned - One of the core features in the Office 2010 Home and Student edition is the Backstage section, which replaces the traditional File tab and gives you considerably more variety in managing your documents. You can perform the traditional actions from the Backstage, such as saving and printing, but you also have a plethora of new and advanced options. Do you want to encrypt your file with a password or include an invisible digital signature? Maybe you would like to tweak certain things, like for example turning off AutoComplete or accessing preview and sharing settings? With the innovative Backstage view all of this and more is available, one click away. Quick and clean previews - If you are the type of creative person who tends to make great, impulsive touch-ups and changes their mind often when it comes to styling, colors and fonts, then you will find the enhanced preview feature of Office 2010 particularly enticing. Seeing how your text document or presentation is going to look is now as simple as mousing over your preferred effects, leaving you with none of the editing mess you usually have to go through in case you dislike the new style. Coauthoring functionality - Showcasing Microsoft’s commitment to modern practices, coauthoring allows multiple users to work on the same Word, PowerPoint or OneNote file via their SkyDrives. The obvious benefit of this new feature is the substantial boost to productivity and collaboration, especially for a project-oriented app such as OneNote. Synchronization mechanisms are also present to avoid unwanted sudden changes while multiple people are working together. With co-authoring, it has never been easier for a group to share their ideas simultaneously and produce better results in unison. Work anywhere, on any platform - With Microsoft Office 2010 Home and Student you can take your work anywhere. New optimized web versions of Word, Excel, PowerPoint and OneNote give you the means of editing and sharing regardless of location or device - you can do it from home, you can do it on the go, you can do it on your mobile phone. Furthermore, documents are fully preserved in their original view, even if you’re working on a mobile version of your desktop document - something which is unique to Microsoft Office. PowerPoint remains a powerhouse - Imagine wanting to add a little extra to your presentation, something personal that will show your audience the level of effort you put in. Instead of resorting to third-party software to achieve that, now you can get all you need right from the source. With the 2010 version of Microsoft Office, its signature presentation app sets a new bar with enhanced video editing options and a slew of new artistic effects and borders. You can trim the video so you exclude anything you deem unnecessary, or color-correct various elements for the ultimate polishing of your work, all in a highly intuitive, plug-and-play manner. Accessibility tweaks to Excel - Microsoft Excel has become a household name when it comes to spreadsheets, enjoying immense popularity with no signs of it diminishing anytime soon. 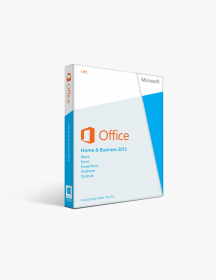 The updates in the Office 2010 Home and Student edition build upon this with minor, but important improvements that improve the accessibility and intuitiveness of this excellent (pun intended) app. Smart tools, legibility, color-coded tabs, diagram and chart integration and quick data import from various connected sources are just some of the changes that increase Excel 2010’s functionality, versatility and customization. OneNote is an underdog with huge potential - The last, but certainly not least major advantage of Microsoft’s Office 2010 Home and Student edition is the app with the least recognition, but with astounding capabilities. OneNote is the essence of the 2010 Office suite, combining innovation and ease of use with emphasis on real-time collaboration. It provides you with a virtual notebook where you can throw ideas, take notes, organize tasks and discuss options seamlessly and effortlessly. It can be an extremely valuable tool that will help you and your team come up with amazing projects as if you were next to each other. The potential of OneNote should not be underestimated and you should take full advantage of this exceptional app that will take your productivity to new heights. As the name suggests, home workers will simply love this Office variant. The apps included in the Home and Student edition provide you with the necessary tools to keep your documents clean, organized and effective at all times. Students have all the resources they need with the Office 2010 Home and Student edition. Whether it’s complex reports, elegant presentations or team projects, Microsoft Office is your best friend and companion for all your academic work. If you constantly find yourself working on the move, you will appreciate the amazing new web and mobile functionality in Office 2010 Home and Student. Desktop, smartphone, Internet: Microsoft checks all boxes for the dynamic worker of the modern world. 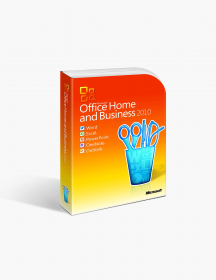 Small and medium businesses benefit greatly from the Microsoft Office 2010 Home and Student edition. The added interface options and increased functionality in this version provide you with the means to better edit, share and protect your important data. You don’t have to go to great lengths or have an exorbitantly powerful computer to use Microsoft Office 2010. You download the suite digitally, completing the whole process in just a handful of clicks - no hassle whatsoever. Furthermore, all apps are perfectly optimized and run flawlessly even on lower-end machines. Not willing to pay the price at office supply stores for Office 2010 for new laptop, I looked for other sources. Found Softwarekeep, checked out the reviews, and decided to purchase. Paid about 1/3 price listed at one store. Got my product key with link for download site and instructions on "how to". All went well. I was able to do my PowerPoint presentation same afternoon.Went with Office 2010 to be same as my desktop and other laptops. No problem and loved because it was easy to installed. 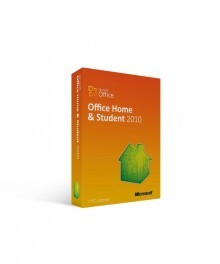 SoftwareKeep upgraded our Home Student 2010 to Microsoft Office 2010 Professional Plus. This contained many more components than I need for the computer I am outfitting, but some of that might come in handy. They were very quick in getting the download and product key back to me. The download worked perfectly. I ordered the download for Microsoft Office and I actually got the download link before I got my invoice. It worked great. I was able to install and start using it right away. They also have the Norton buyer protection! Great company that I will use if I need to download anything else on my computer. thanks for quick service to get me up and going!!!! $59.00 | In Stock Want it Now? Order and receive your download instantly.